· Equity Funds: Mutual fund that principally invests in stock is known as the equity funds. Equity funds also known as the stock funds. Some stock funds target specified market like health care, real estate etc know as the “specialty stock funds”. This risk factor associated with equity funds is high. · Income, Fixed interest and Bond Funds: Investment in corporate bonds, government securities and other fixed income securities. Fixed income investments generally pay a return on a fixed schedule. In this kind of ULIP risk is lowest. People invest heavily in fixed income bonds because of the reliable return. · Cash Funds: Also known as money market funds- investment in bank deposits, cash and money market instruments. Cash funds are the open ended mutual funds that invest in short term debt securities. Cash funds may be wise option if you are planning to retire in the next few years. · Balanced Funds: Combination of equity funds and fixed interest is known as the balanced funds. Generally these hybrid funds geared towards investors who are looking for a mixture of safety and income. Investment returns in ULIP plans may not be guaranteed, the investment risk in investment is borne by the policy holder. 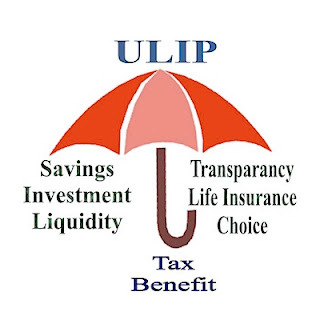 ULIP plans have some unique features like flexibility, transparency, liquidity etc and are the most discussed about investment options in India. On what bases you should decide which plans suited you better? Every insurer has some different offerings and each and every plan has a number of details that need to be reviewed before buying any policy. Very Informative article which has given clear understanding of ULIP. Thanks Bajaj Capital Insurannce.